The manuscripts were then gathered together and used as fuel for the 4,000 bathhouses in the city. In fact there were so many scrolls that they kept the bathhouses of Alexandria heated for six months. These incredible facts were written down 300 years after the supposed event by Christian polymath Gregory Bar Hebraeus (1226-1286). However, while the Arabs may have destroyed a Christian library at Alexandria, it is almost certain that by the mid 7th century the Royal Library no longer existed. This is made clear by the fact that no mention is made of such a catastrophic event by contemporary writers such as Christian chronicler John of Nikiou, Byzantine monk and writer John Moschus and Sophronius, Patriarch of Jerusalem. Attempting to identify one single devastating fire that destroyed the great Library and all of its holdings is a futile task. Alexandria was often a volatile city, especially during the Roman period, as witnessed by Caesar’s burning of the ships, and also in the violent struggle between the occupying forces of Queen Zenobia of Palmyra and the Roman emperor Aurelian in AD 270-71. Aurelian eventually recovered the city for Rome from Queen Zenobia’s armies, but not before many parts of Alexandria had been devastated, and the Bruchion district, which contained the palace and the Library, were apparently ‘made into a desert’. The city was again sacked a few years later by Roman Emperor Diocletian. Such repeated destruction spread over several centuries, along with neglect of the Library’s contents as people’s opinions and affiliations changed, means that the ‘catastrophe’ that ended the ancient Library at Alexandria was gradual, taking place over a period of four or five hundred years. The last recorded Director of the great Library was scholar and mathematician Theon (c AD 335 c 405), father of the female philosopher Hypatia, brutally murdered by a Christian mob in Alexandria in AD 415. Perhaps one day, in the deserts of Egypt, scrolls that were once part of the great Library will be discovered. Many archaeologists believe that the buildings that once composed the legendary seat of learning at ancient Alexandria, if not buried under the modern metropolis, could still survive relatively intact somewhere in the north-eastern part of the city. Canfora, L. (trans. Martin Ryle). The Vanished Library. A Wonder of the Ancient World , Berkeley: University of California Press. 1989. El-Abbadi, Mostafa. Life and fate of the ancient Library of Alexandria , Paris: UNESCO, 2nd edition.1992. 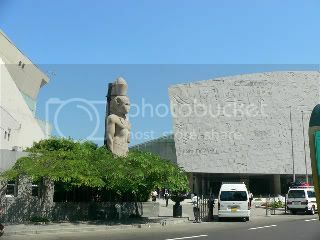 MacLeod, R. (ed) The Library of Alexandria: Centre of Learning in the Ancient World. I. B. Tauris. 2004.
http://www.bede.org.uk/Library2.htm The Foundation and Loss of the Royal Serapeum Libraries of Alexandria. An article by James Hannam. http://www.bibalex.org/English/index.aspx. Website of the new Library of Alexandria. http://news.bbc.co.uk/1/hi/sci/tech/3707641.stm. BBC news article about the possible discovery of the site of the Library of Alexandria. Powered by WordPress v 4.9.10. Page in 0.221 seconds.